Just recently, I wrote about how common folks get to see a paltry 5% of museum collections, as the rest is hidden away in storage. There, some of the world’s greatest artworks are restored and kept It carefully maintained conditions. 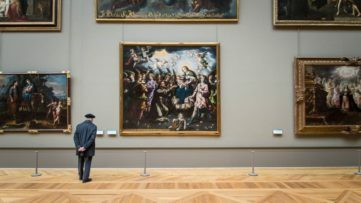 All these processes cost money, and the average museum funds are ever so large – or better, not large enough. 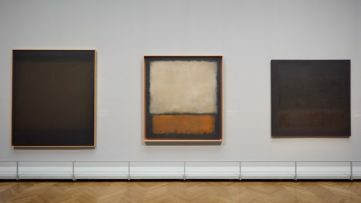 Yet, it appears as though the Leopold Museum Vienna found a brilliant new way to create a win-win situation out of their lack of money. From January 29th through February 22nd 2016, the institution is hosting Hidden Treasures, an exhibition of about 185 pieces by Austrian artists from their remarkable collection. The catch? The works are all damaged. Or moldy. Or eaten by worms. And they urgently need restoration. 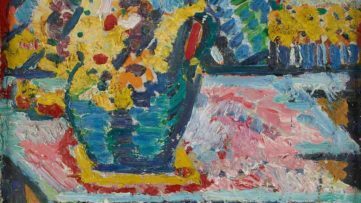 Ranging from turn-of-the-century paintings to Art Deco chairs and lamps, the Hidden Treasures show aims to show ”the dark side” of the Leopold Museum Vienna collection, according to its Director Hans-Peter Wipplinger. The museum will encourage its visitors to save the very works of art they see from decay, at the same time presenting them with the way they can get ruined over the years. Many of the pieces on view show evident damage signs, like tears in the canvas on the 1885 Mill with Evening Sky painted by Robert Russ or a missing head from a porcelain figurine. Some of them have never been shown in public at all, such as the rare Art Nouveau furniture by Koloman Moser. The restoration would also include the works of two pivotal figures of the Austrian art history that the Leopold Museum Vienna is proud of the most: the paintings of Gustav Klimt and Egon Schiele. According to AFP, the costs range from 300 to 13,200€, which amounts to 370,000€ in total, in order to treat mould from exposure to dampness and to repair rusty metal parts, bent frames and bad touch-ups. The patrons will see their name displayed on a small card next to the work they helped finance. When Rudolf Leopold, a visionary collector, started buying the works of Austrian artists after World War II, not many thought he was making the greatest investment ever. 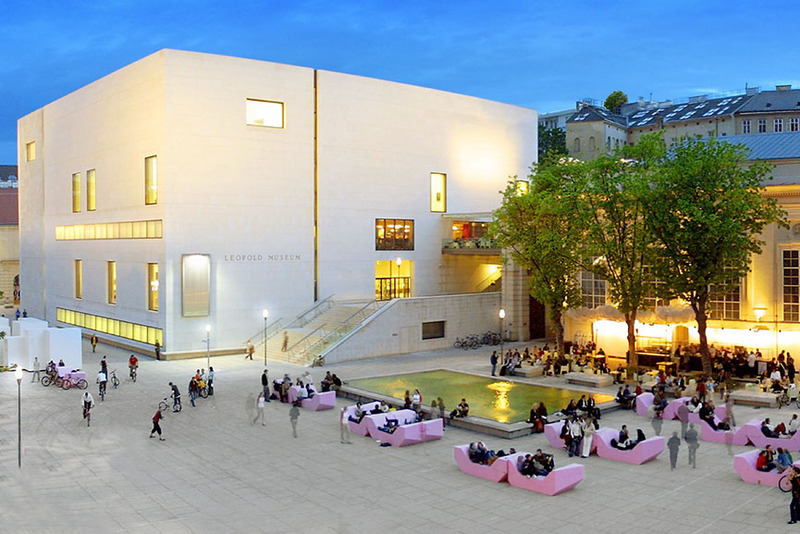 But since its foundation in 2001, his Leopold Museum in Vienna became one of the most important institutions in Austria, which now houses the world’s largest Egon Schiele Collection – 44 paintings and 180 drawings on paper – and key paintings by Gustav Klimt, such as Death and Life. But apart from its extraordinary archive, the museum is also known for a couple of controversies. In 2010, they paid whopping $19 million to keep Egon Schiele’s Portrait of Wally, which the Nazi stole from the Jewish art dealer Lea Bondi Jaray, after a decades-long dispute. In 2012, a public outcry regarding their Naked Men exhibition made the participating artists amend a controversial poster announcing the show, which featured three naked French footballers, created by Pierre and Giles. In 2013, Leopold director Tobias Natter quit over another Nazi-looted art row, which involved the so-called Klimt Foundation associated with the artist’s illegitimate son, filmmaker Gustav Ucicky. Will you see this show? Tell us over on our Facebook page! Featured image: Leopold Museum Vienna. Image via vienna.convention.at. All images used for illustrative purposes only.